It is almost a tradition that families spend a day at the lac, particularly when the sun is at its hottest. 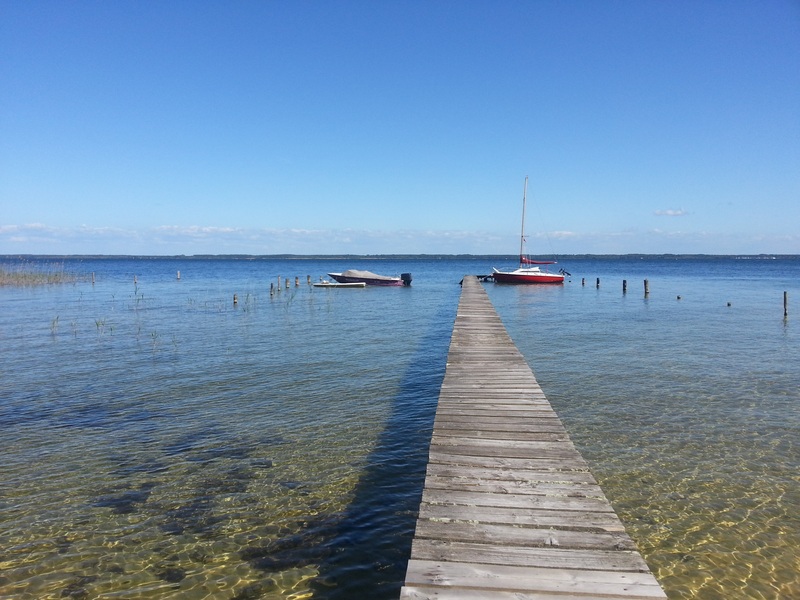 Swimming, water skiing, sailing and canoeing can all be found for those who want to do more than lie on the beach. Yes, there are beaches, they may be man-made but they are just as relaxing and pleasant as those by the sea. Some also have restaurants, bars, shops and accommodation right up to the water’s edge. 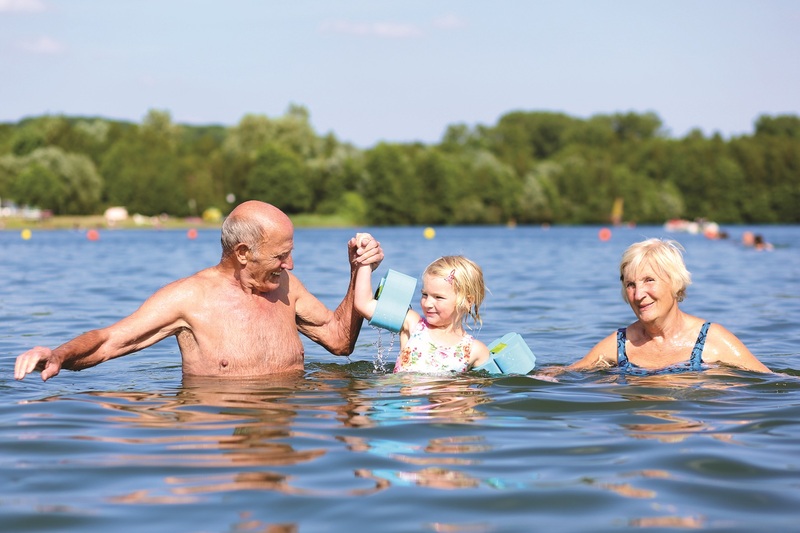 Speaking of water, you can be sure that it is clean and regularly checked so there is no fear of something odd or unpleasant popping up, or seaweed around your feet. There are no sharks, no jelly fish, no potentially perilous tides and the swimming areas are usually sealed off from the other activities to ensure a safe, worry-free experience. Those using powered water craft have a huge area in which to have fun, without the concerns associated with people in the water or choppy seas. Water skiers can take their jumps in defined areas and canoeists have the space they need to enjoy their sport. Anglers can fish in peace, safe in the knowledge that the only thing they will catch will be a fish and not a propeller or a swimmer. Picnic area, café, restaurant or beach, the choice is yours when it’s time for lunch. She adds, “With an inflatable obstacle course on the lake, Lac de Clarens at Casteljaloux (47) has to be the favourite with our teens. There are both sand and grass areas down to the water’s edge, a sectioned off area in the lake for younger children, a small pontoon to jump off, a snack bar and an Accro branch climbing area. There are plenty of lakes all over the region, some more basic than others. Whilst many are only open during the summer months for water sports, they are often open all year round for fishing, walking and cycling. When searching for a spot, bear in mind that the larger ones are often called leisure centres because of the sheer amount of activities on offer. The lake at Lacanau (33) is the only lac in the region to have its’ own central island. Walking paths and beaches that stretch into the distance combine with pine trees to make this a picturesque spot for all kinds of sports and leisure activities. 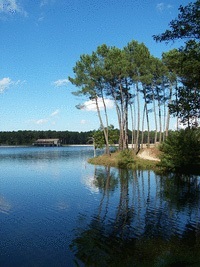 The Lake is one of the original Great Lakes of the Landes and is bordered by 20th century villas that were built by the Bordelaise in order to escape from the city. 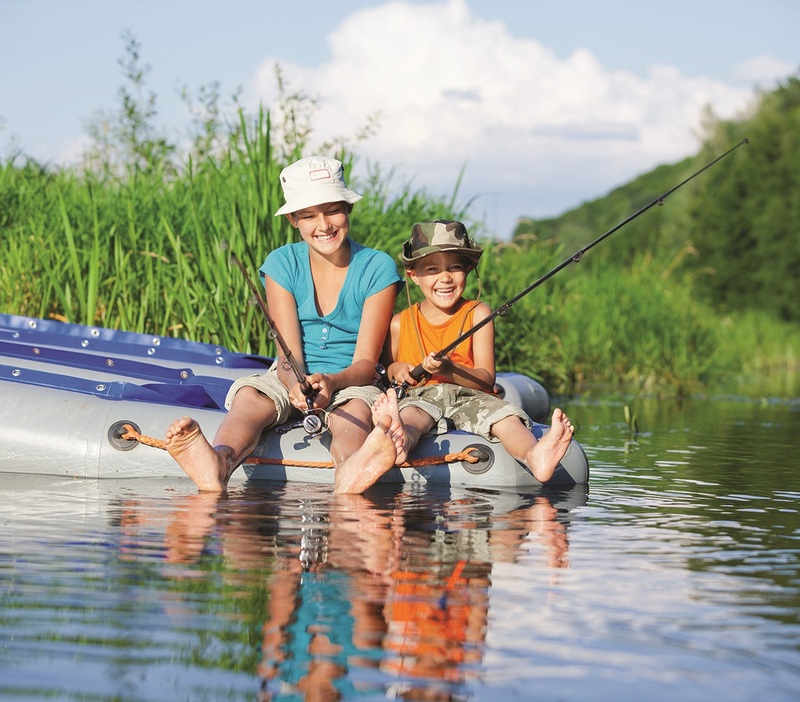 The Grand Etang at Saint Saud Lacoussière (24) has something for all the family. Well stocked with fish for the anglers, this natural environment has a sandy beach, children’s play areas, walking path, picnic tables, water babyski and supervised swimming areas. It also offers Tiralo which allows visitors with special needs to enjoy the beach or water ski. Fine white sand, a diving platform, supervised swimming, water slides and a children’s play area await you at Lougratte‘s lake (47). 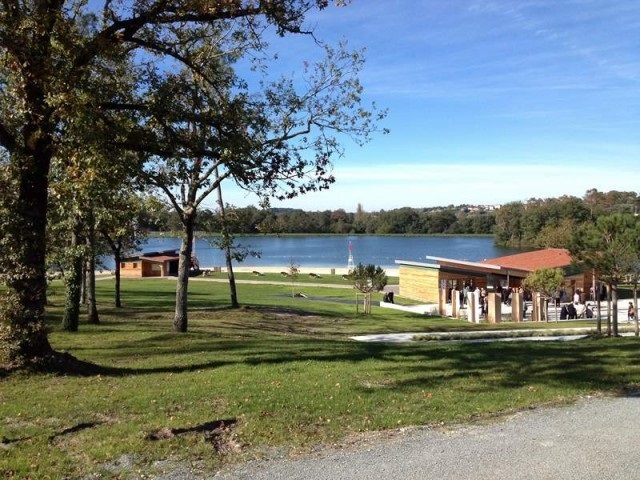 Set in beautiful countryside between the rivers Lot and the Dordogne, it has lots of shady areas near the water’s edge along with changing rooms, a café, BBQs and picnic tables. Another huge lake can be found at Marciac (32). This 30 hectare lake allows year round day and night day carp fishing as well as walks on the 3km perimeter track. In the summer it opens up to visitors for swimming and water sports including electric boat hire. Ever thought of playing golf with a disc instead of a ball? It’s called Disq Golf and involves throwing or flicking a plastic disc (Frisbee) towards a designated point (hole) on a carefully designed course. That’s exactly what you can do if you are not playing on the water at Lake Tolerme at Sénaillac Latronquière (46). 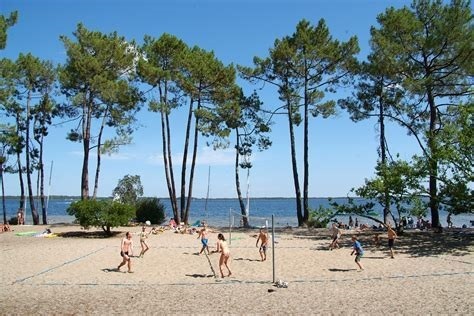 The fine sandy beach of Plage 82 at Saint Nicolas de la Grave (82) is an ideal spot for sunbathing, whilst the more energetic can play beach volley ball, jump about on trampolines or even test their skill with an archery lesson. 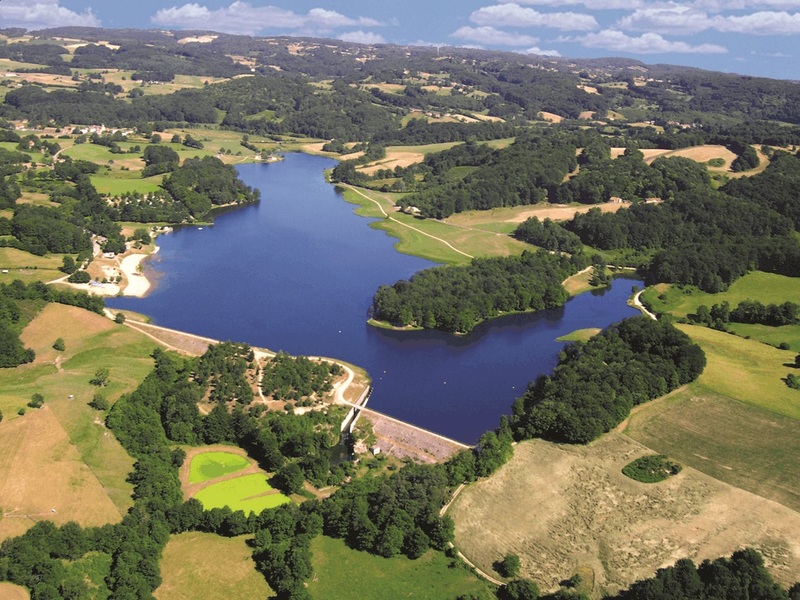 Lac de St Ferréol at Revel (31) was originally designed as an artificial reservoir to feed the Canal du Midi by Pierre-Paul Riquet, the same chap that created the Canal in the first place. Surrounded by mountains, its’ sandy beach and clear waters are the perfect backdrop for a relaxing day out complete with water activities. For more information on lakes and water sports throughout Gironde, Dordogne, Lot et Garonne, Lot, Gers, Tarn et Garonne and north Haute Garonne, visit our Business Directory. You will find them under Sport and Recreation. Our Area Information pages include interesting places to visit throughout region and you will also find museums, chateaux, ideas for day trips and days out for children in our business directory pages under Entertainment and the Arts and Travel and Tourism.